As much as we all like to indulge in a stiff drink, the production, packing and distribution of your favorite hooch leaves one hell of a carbon footprint. According to a study by the Beverage Industry Environmental Roundtable (BIER), a single 750mL bottle of liquor produces more than six pounds of CO2, which is the equivalent of six giant exercise balls full of carbon dioxide for every bottle of booze you drink. Thankfully, some companies have gotten hip to the cause and are taking major steps toward reducing their impact on the planet. Below are five ways some environmentally conscious brands are minimizing their carbon footprints so you can imbibe with a clear conscience. 3. 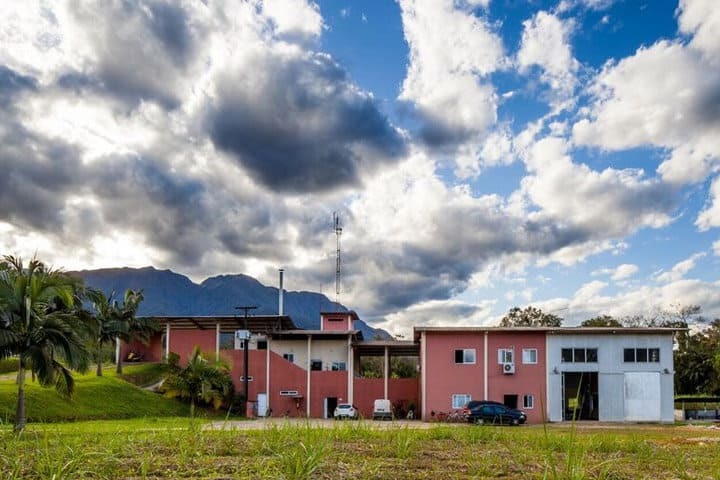 WHEN IT COMES TO ENERGY, GO GREEN Seattle-based Novo Fogo’s zero-waste cachaça production facility in Paraná, Brazil, is built on the slope of a hillside. “Each room is set a little bit lower than the next, so gravity moves liquid from one room to the other for processing,” says marketing director Luke McKinley. Ultimately, all of these business agree that what makes good environmental sense also makes good business sense.